Pity the poor honey bees. They have to contend with pesticides, parasites, pests, diseases, malnutrition, stress and that mysterious malady called colony collapse disorder in which adult bees abandon the hive, leaving behind the queen, immature bees and food stores. 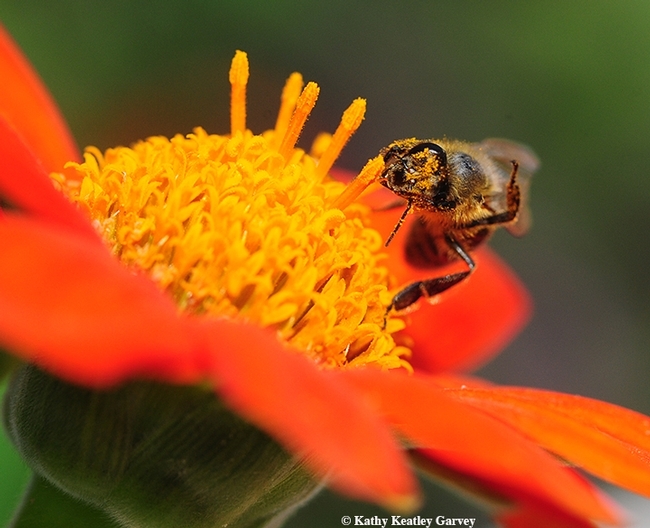 The primary pest of bees? The blood-sucking, virus-transmitting varroa mite, found in probably every hive in the country. But there are other pests that target the honey bee as well--from praying mantids and dragonflies to birds and spiders. It's a predator gauntlet out there to make the round trip from their hive to their foraging site and back. 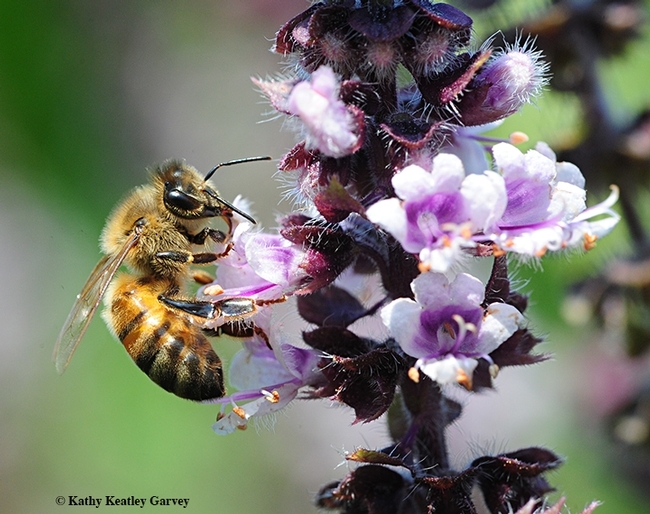 We recently saw a honey bee trapped in a spider web stretched from a honeysuckle bush to a purple salvia. The bee's fatal mistake was taking a shortcut to the lavender patch. 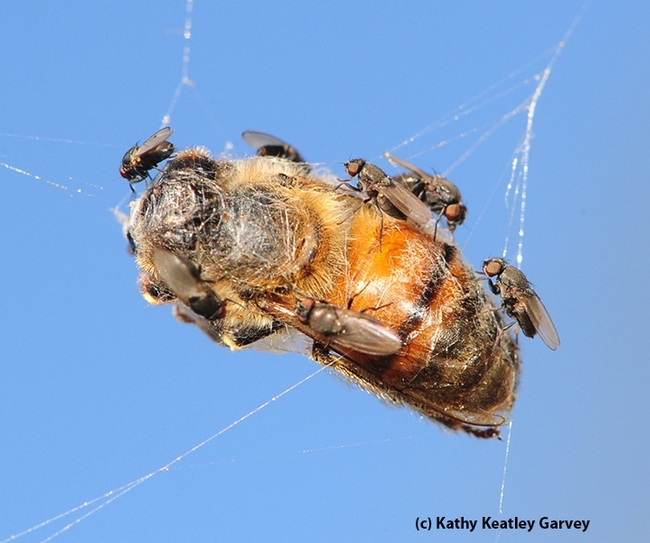 The bee, incongruously bubble-wrapped by the spider for a future meal, twisted in the breeze. It was not alone. A horde of freeloader flies, family Milichiidae, and probably genus Desmometopa, made sure of that. 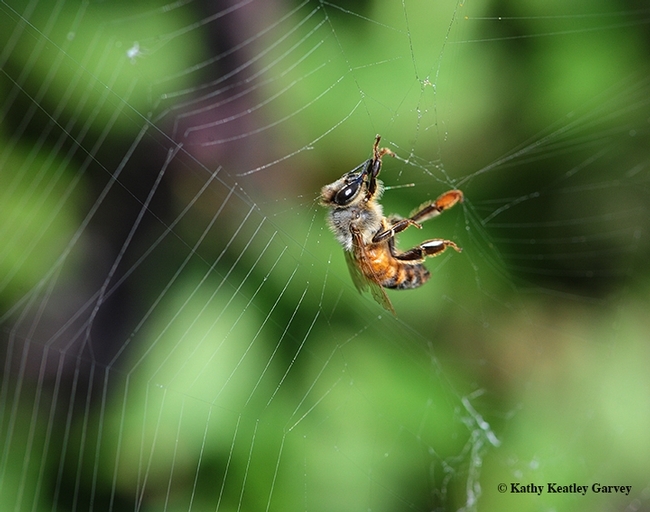 It was a bad day for a honey bee but a good day for the spider and the flies. Just another day for the predators and the prey. And a few square meals in the circle of life. 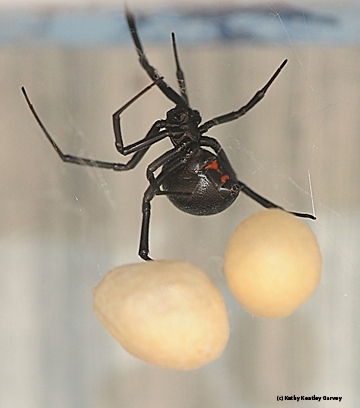 In real life, the black widow spider is about 1.5 inches long. 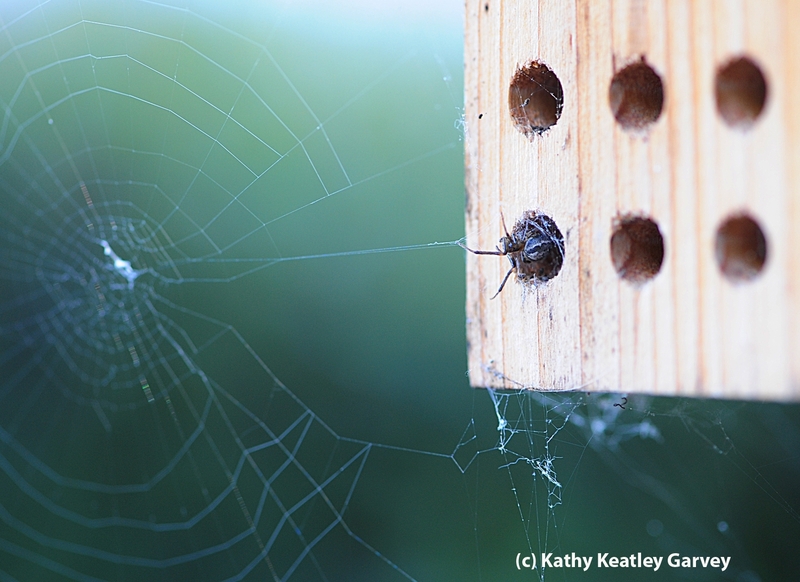 You'd never know that if you looked in the backyard of UC Davis entomologists Robert and Lynn Kimsey. The UC Davis Entomology Club, advised by Robert Kimsey, is building a 40-foot-long black widow spider for the UC Davis Picnic Day Parade on Saturday, April 18. 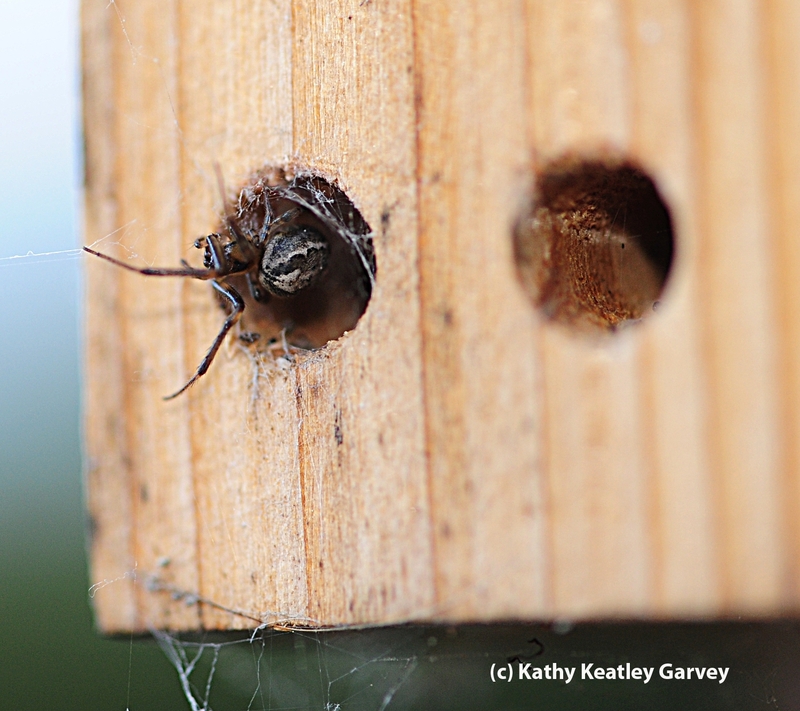 Latrodectus hesperus has never looked so...well...huge! And so colorful--right down to the distinctive red hourglass. 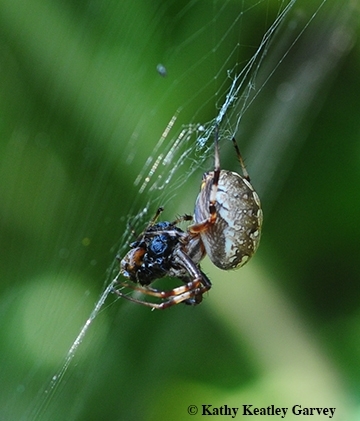 What's it like seeing a huge spider coming to life in your backyard? Along with anyone suffering from arachnophobia. 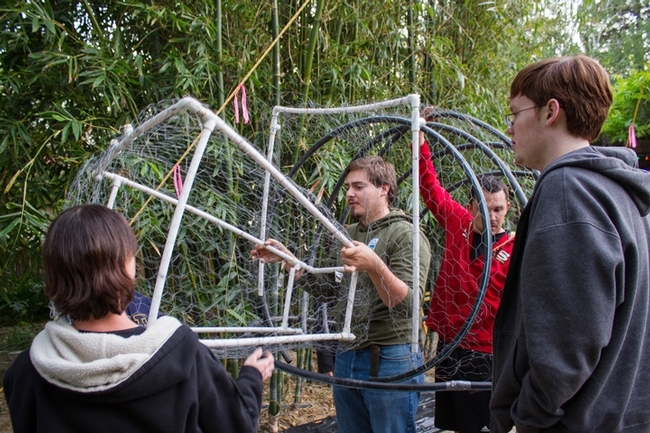 The spider represents a month of planning and two weeks of building, Nguyen said. 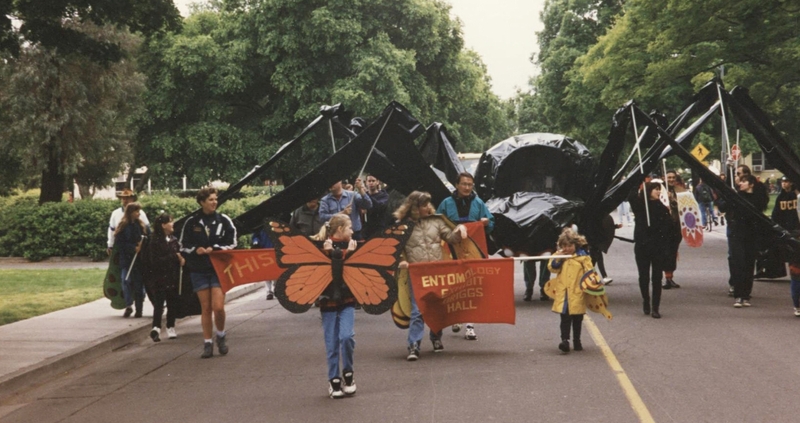 During the parade, Entomology Club president Marko Marrero will be inside the spider, hoisting it up, and walking with it, along with two people at each leg. If you want to see the spider, the opening ceremony of the parade begins at 9:25 a.m. in the grandstands on the North Quad Avenue across from Wickson Hall. The parade begins at 10, snakes downtown, and ends at noon. Announcement locations include the beginning of the parade; second and D Street in downtown Davis; F street in front of PDQ Fingerprinting; and third and C Street in downtown Davis. You can also see the spider after the parade. It will be showcased in front of Briggs Hall, off Kleiber Hall Drive, where scores of entomological events will take place, including cockroach races, maggot art, honey tasting, and fly-tying. 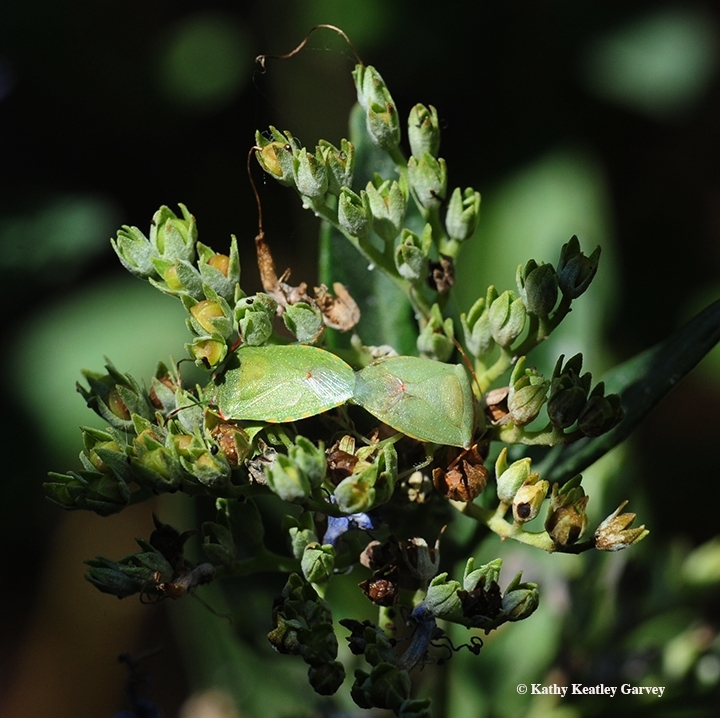 There will be a bee observation hive, ant displays, and displays of mosquitoes, forest insects and aquatic insects. The UC Davis Entomology Club and the Entomology Graduate Student Association will be working the booths, along with faculty and staff. Membership in the UC Davis Entomology Club is open to all interested persons (email entomologyclub@gmail.com). Members are faculty, staff, students (college and high school) and community residents. 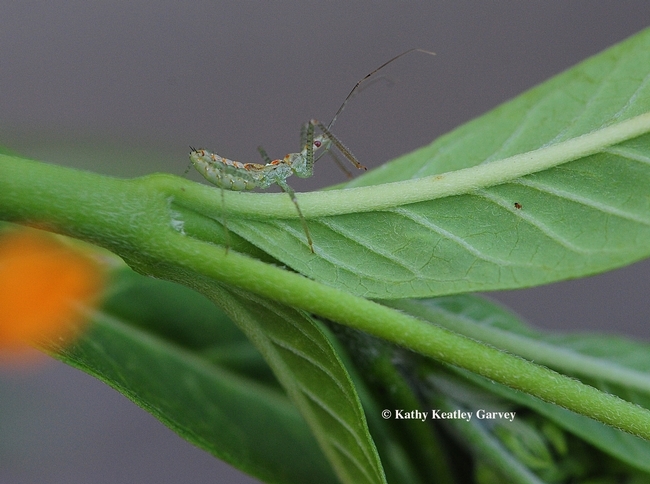 They have at least one thing in common: they're interested in insects and other arthropods, including arachnids (spiders). 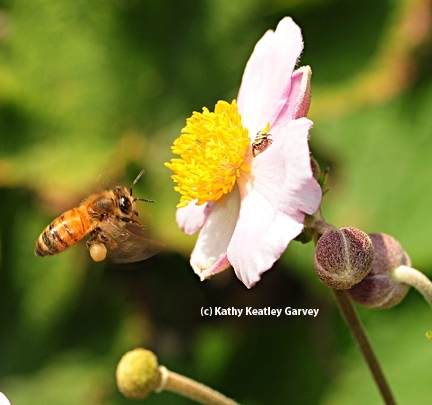 Take one honey bee and one Japanese anemone. Then add one jumping spider. The results don't always turn out so well. 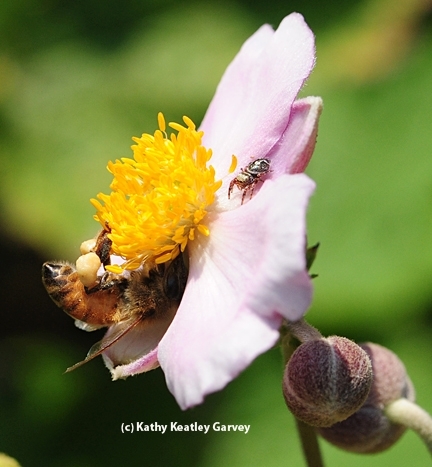 But today in the East Asian Collection Garden of the UC Davis Arboretum, everything turned out well--for the honey bee. 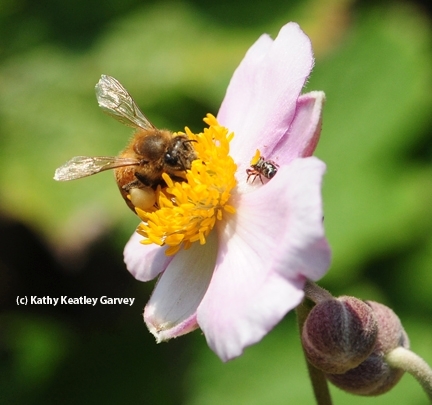 The bee foraged on the golden stamens of the Japanese anemone without becoming prey, despite the spider camouflage with an anther. 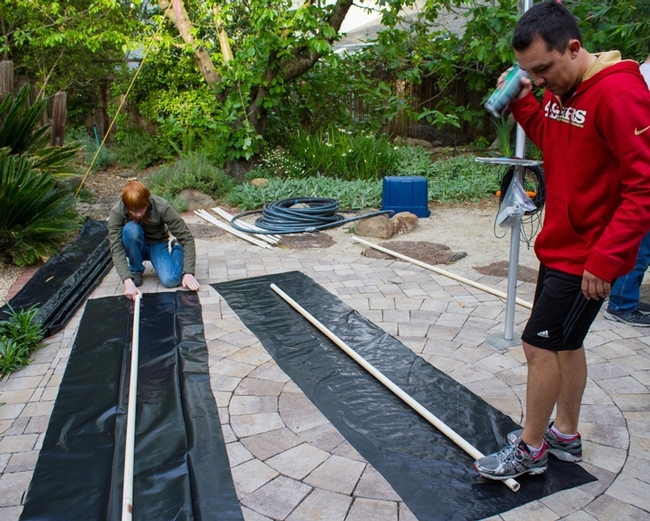 The East Asian Collection Garden is just one of 17 gardens or collections in the 100-acre UC Davis Arboretum. Located near Mrak Hall, the "East Asian Collection is a popular place for picnics with open lawns and lovely views of Lake Spafford," according to the Arboretum website. "Cherry blossoms and daphne are standouts in winter and spring, while gingko and zelkova trees and ornamental grasses provide beautiful fall color." Arboretum officials say the plants represent "a living museum." Indeed they do. 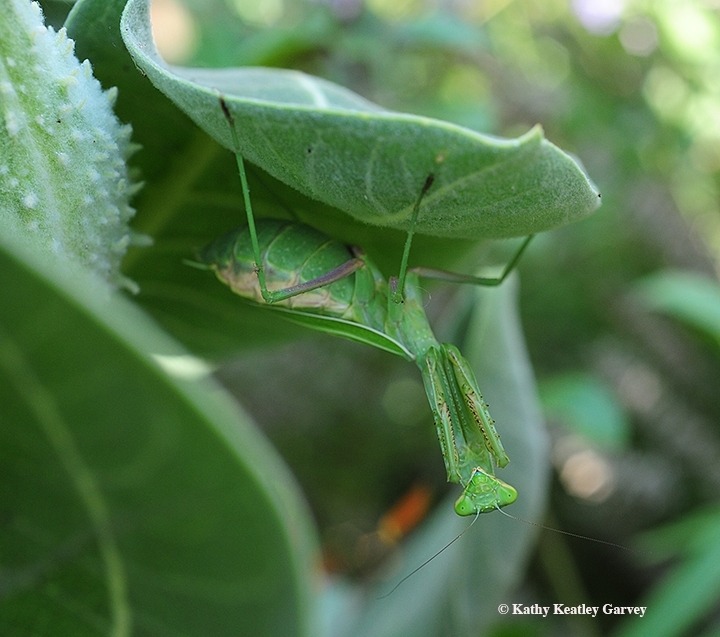 The gardens are also a good place for students, staff, faculty, flowers, insects and spiders to interact. The beauty of the Arboretum defines the UC Davis campus.